This week I’m writing for every blogger out there because even the most self-reliant blogger needs support and help from time to time. And because every serious blogger wants to grow their traffic or their income or both. Getting the right support at the right time is often tough, but I’m going to go through how you can get that help and support from some amazing communities. There are many ways in which you can find help and support, but there is one wider community of bloggers that will help you find answers, give you the help that you need and foster community over competition. In this tutorial, I’m going to go in depth about how joining the right Facebook groups can seriously grow your blog, keep you on track with your goals and help you resolve issues. I’ll also list the top Facebook groups that successful bloggers use regularly. I’ll explain what each group focuses on and how you can benefit the most from them. You can find a Facebook group specialising in just about anything. Facebook groups for bloggers have one thing in common. They are a like-minded community of individuals that you can learn from and who are willing to help and support members. Using a Facebook group as a blogger isn’t just about sharing each other’s content or liking each other’s posts – far from it. These blogging support groups on Facebook that I’m going to share with you provide 24 hour support to their members. The collective wisdom of bloggers’ Facebook groups solves problems quickly, creates long term business relationships and grows the community of bloggers as a whole. That’s how powerful making connections and getting support can be and I have not found that anywhere provides this for bloggers as well as Facebook group. Later in this post, I’ll share the different types of Facebook groups you can join and how you can use each one to your benefit – and importantly, be a valuable contributor too. And, to make this post super useful for you I’ve created a downloadable takeaway of all the Facebook groups that I reference in this post and you can grab a copy of that at ANY time. Join the best Facebook Groups for Bloggers NOW! Download the Ultimate List of Facebook Groups For Bloggers now! You’ll even see me mentioning groups that you might view as competitive to my Digital Nomad Wannabe group – but I’m a huge believer that we all grow together and that collectively we can grow the entire blogging community successfully. Where there are many benefits, there are also downsides and it’s important to understand what these are and the inherent risk that they might bring to your blogging business. I firmly believe that the advantages of Facebook groups outweigh the disadvantages, but in ALL cases you should do your due diligence on information provided. Information provided can be unreliable – be sure if you’re following advice that it comes from people who have a proven track record and know what they are talking about. Groups ran by successful bloggers, like my DNW – Making Money From Blogging group (click here to join) where I read and monitor information can help with this. Beginner blogging groups have beginner members so particularly be careful about the reliability of information posted. It’s definitely better to be in more advanced groups, like the DNW group. Join my 5 day GOAL SETTING CHALLENGE – and in just 10 minutes a day set your goals for the next year – even if you’ve already set your goals this is an AWESOME exercise to review and reconsider now! Blogging can be a lonely business and it’s important to build a support network that can help you when you need it the most. It’s also important to have a team onside to help you celebrate the wins. I’ve lost count of the number of times that I’ve seen posts along the lines of “I’m posting this here, because I know you guys understand”. The FacebookgGroups that you’ll join and interact with in your blogging journey are a virtual support network, a virtual cheerleading section and a virtual community of bloggers. The collective wisdom of bloggers’ Facebook groups solves problems quickly, creates long term business relationships and grows the community of bloggers as a whole. The community of bloggers in Facebook groups come from all walks of life, from all backgrounds and have all levels of blogging, writing and technical competence. It’s likely that whatever challenge you’re facing someone has met it and dealt with it before. And now, they’re willing to help you rise to that challenge. If you find that you’re the first dealing with an issue then your support network can work with you to overcome it. Students in my private Build Blog Freedom Facebook group create informal teams to create code, build links, undertake blog collaborations, provide accountability and meet up in person to share sponsorship contacts and create a greater sense of community. This is so incredibly powerful. The two primary types of Facebook groups for bloggers are open and closed groups. An open group means that anyone can join it and contribute. A Facebook closed group means that you have to request access to the group. Open Facebook Groups tend not to be as useful. Moderation of content and members is more difficult and content is extremely unreliable. It also means your friends can see everything you post. Closed Facebook Groups, where acceptance is based on content provided by you and where rules are detailed and applied, where moderation of content and users is undertaken regularly, effectively and consistently, tend to hold a lot more value. Generic Facebook Groups. You can find a LOT of general blogging groups on Facebook. I suggest you stick to just a few of these and instead go niche. Join Facebook groups for your niche, for your email service provider, for your social media platform of choice, for your local area and meet up groups that work for you geographically. It’s easy when you’re getting to started to join a LOT of Facebook groups. And then follow all the updates and lose hours of time doing just that. That’s why it’s important to have a plan for your Facebook group usage. Have an objective for joining each Facebook group. For instance, you might want to join my Digital Nomad Wannabe Facebook Group – because I run regular challenges and provide free SEO, blogging tips, blog marketing, affiliate marketing and making money from blogging training. Look for Facebook groups with informed moderators with a good reputation. I’ve mentioned that one of the downsides of Facebook groups is that information can be unreliable. That’s why when you join a group, you should review the group owner and their reputation. Each Facebook group owner has the opportunity to set out what the rules for members are – this might be what content can be shared, whether self-promotion is allowed, what the group is for (like collaborations or link building for instance). Groups without rules are like the Wild West. Anything goes and, if there is useful content shared, then it’s hard to find amongst the spam. It’s likely that unless you’re an absolute beginner that you have some element of a support network, or other bloggers that you follow and trust. If they’re active members of Facebook groups then it’s likely that you’ll benefit from those groups too. Bigger isn’t always better. Activity is only good if it’s meaningful. Just because a blogger group on Facebook has tens of thousands of members doesn’t mean it’s a great group. Do you need to join the biggest Facebook groups for bloggers? No. The largest Facebook groups aren’t always the best. Often the niche, focused groups – like the Link Building for Lifestyle Blogs Facebook Group – are where you will find more meaningful relationships, content and support. So far I’ve discussed how you can use Facebook groups to gain support from other bloggers, thought leaders and experts in the field. Facebook, though, has over 1 billion active users. Many of those users could be your target audience. So when, as a blogger, you’re considering joining Facebook groups consider also joining groups where your target audience hangs out. For example, if you write about a niche destination and there’s a Facebook group for that destination, then join it. I’d suggest you are fully aware of the rules and don’t over self-promote, but establishing yourself as an expert in your content field by answering questions and helping other members can help to achieve your blogging goals. Convinced you should join a Facebook group yet? Good! But before I go on, I want to cover why, as a blogger, you should consider starting your own Facebook group. If you currently have a Facebook page and your target audience uses Facebook then you should consider starting a Facebook group. There are increasing moves from Facebook to downgrade the importance of posts that you make on your page and push page owners towards advertising and sponsorship – i.e. paid options to get their content in front of followers. That’s not the case with Facebook groups. I have a whole tutorial on how to set up a Facebook Group and why you should do it, which you can check out here, but here are the primary benefits of how to make a group on Facebook successful. Answering questions, asking questions and promoting your own content with your community and target audience allows you to raise your authority. This is related to raising your authority, but answering questions in an open, public environment definitely raises and grows your trust factor in your network. Using your Facebook group to extend your reach and grow your community – as members promote your content to their friends and colleagues you grow your community further. Facebook also advertises your group for free – most sign ups to the free DNW group come from Facebook promoting the group. As you engage further with your audience in your Facebook group, you’ll find out more about what they want, what drives them and how they react to offers. This allows you to further hone what content your produce and how you monetise your blog and Facebook group, improving your traffic reach and income. There are thousands of Facebook groups for bloggers helping you with traffic, with Pinterest, with your email marketing solution and a lot more. What I want to do with my list of bloggers’ Facebook groups is share with you the groups that I use, that my team use and that trusted bloggers in my network both find useful and contribute to. I’ve created sections for this Facebook groups list in order to make it easier to manage and, while many of these groups can fit under multiple sections, I’ve (with the noted exceptions of my own groups, because, well they’re my own!) just put them in a primary section. How to join a Facebook group in this list differs by group. Simply click on the link, read the rules and answer the questions requested by the admins and moderators. And of course please do tell them that you heard about them from DigitalNomadWannabe. I’ll start by suggesting you join my making money from blogging group. I have regular challenges that are free to join and great for kick starting momentum on various areas of your blog – plus I offer free Facebook Lives on a variety of topics. There’s a weekly sharing thread for self-promotion and you can ask ANYTHING! Come on over and get started with one of my goal setting challenges – there’s no better way to get started as a new blogger than to set some goals so you know where you’re going! I also recommend that you join Facebook groups for your specific needs – for instance if you use a Divi theme, then join this excellent group. An official Facebook group for Divi Theme Users. The team at Divi run specific sharing threads on different days and also allow you to post tutorials or designs as part of these threads. There’s a lot of technical resources and support in this Facebook group. I love Thrive themes and this group is an official Facebook group from Thrive where you’ll find technical advice, design suggestions and all sorts of help and support in this great group. This is a relatively new group from a family in Australia focusing on new bloggers and covering all the areas that new bloggers are interested in especially when looking at how to start a blog. There are daily sharing threads, Pinterest Group Boards and also a social media focus. A group for new bloggers, with no domain authority requirements – swap links, collaborate and help each other to get to the growth stage of your blog with this excellent focused Facebook group. In this section, I’ve collated together Facebook groups that focus on growing blog traffic – whether that’s through SEO, through social media or other means. There are obviously thousands of Facebook groups for blog traffic growth, but I’ve picked the main ones. Here’s another section where there are reasons to join my group. In my group, I talk about blogging tools that are useful and helpful to growing your blog traffic. I provide regular free trainings that I promote through the group – so you can explore some of the ways in which you can use SEO to build your blog – and add affiliate marketing to that so you can use that as a way to make money from it! 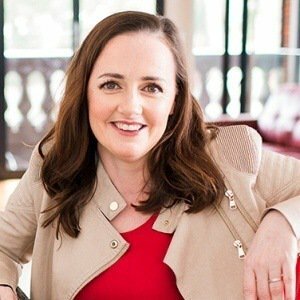 Run by Amy Porterfield, this is where you’ll find expert interviews, execution plans and behind the scenes information from Amy’s biggest launches. This is a great supportive community and extremely educational. This is a Facebook group for bloggers of all shapes and sizes (their words!) to share your content and collaborate with each other. There are social media threads and it’s possible to share your own links, although don’t go overboard and spam the group. Now, of course, I recommend that for all things SEO you head on over to digitalnomadwannabe.com but this is also a useful Facebook group for SEO. You’ll find case studies, split testing results, and details on SEO algorithm trends. If you’re into experiments and testing with regard to SEO then this is a good resource. Looking for more opportunity to gain traction in blogging? Or wanting to connect with like-minded bloggers? This is an inclusive group of bloggers and entrepreneurs providing a lot of great content to fill your schedule and even provide mentorship programs. A newcomer to the Travel Blogger turned build your blog arena, DYD is run by Will and Aaron and focuses on helping you understand how to grow your blog and which tools are best to do that. This official group from lead pages is a fabulous group that provides meaningful content to customers and leadsters alike. It’s not an official support forum, but there is great advice on growing your business and helping with your lead generation to grow your blog and your business. You must be a leadpages customer or employee to join this group. If you are new to link building, start with this 7-day link building challenge before you jump in with these groups! Putting together a round up for your blog? Running a collab? This group has been around since 2014 and is very active – you’ll find on average 6 requests a day here – so if you want to collaborate with other bloggers then head on over – and tell them DNW sent you! Welcome to another one of my niche specific groups, run by the team at DigitalNomadWannabe – this Facebook Group for Lifestyle bloggers is focused purely on link building –whether that’s through collaborations, guest posts or link swaps – if lifestyle blogging is your niche then head on over we’d love to have you in the group and contributing. Looking for more traffic for your blog? Getting links to your blog from other sites is one of the best ways you can achieve this – and the easiest way to get links is to by collaborating with other health bloggers. That’s what this group is for! This group is for health bloggers ONLY who want to grow links to their blogs. This is another awesome Facebook link building group run by the team at DigitalNomadWannabe. Another support group for bloggers on Facebook, you can be a blogger in any niche here. Join this group for collabs, sharing threads and a whole lot more. A great link swap Facebook group for Travel bloggers. There is surprisingly little overlap in these groups, so it’s worth joining a few in order to reach other bloggers and network connections. This is a great group for buying links and other similar services. You’ll also need to join the mastermind group to make the most of these services. The purpose of this group is to serve as a venue for collaborations between bloggers. This ranges from blog collabs, to comment exchanges, link swaps and more. There’s no limitation on niches, so it’s open to all. This group is purely about link swapping with other bloggers. You’ll need to do your own research on other member in the group and I strongly suggest you read my post on relevancy and building relevant links before jumping into to link building as a whole. Check out my interview with Amber, co-founder of Mediavine to find out how you can monetise your blog with Mediavine and earn revenues from this popular ad network. There are heaps of AdSense Facebook groups that focus on “share clicks” – I don’t advocate that you do that, but this group focuses on how you can improve your AdSense revenues and a best practice approach to using the AdSense advertising network. If you’re a user of OptinMonster for your blog then you’ll want to join this Facebook group. It’s a great place to share and get tips for increasing the efficiency and effectiveness of OptinMonster and for peer to peer support (it’s not the official channel). This is a great group to find out what’s working for other OptinMonster users and new features that are coming out. You’ll need to be an ActiveCampaign user to join this group (your ActiveCampaign URL is required as part of the joining process), but you’ll learn best practices, marketing automation tips and share successes with other ActiveCampaign users. This is an active, supportive community. ActiveCampaign is my email solution of choice – and you can read more about why I use ActiveCampaign in my updated post on selecting an email marketing service provider. This is the biggest MailChimp community on Facebook. It’s the best place to get your questions answered about MailChimp. You’ll also find best practices about using MailChimp in this fabulous Facebook group. If you use the affiliate window – now AWIN network to drive affiliate marketing revenues from your blog then this is a great group to get the latest scoop on new programs, special deals, best practices and making the most from your blog. Discussions are limited to Awin-related topics and members are encouraged to ask questions about Awin. Note that all posts are moderated and often don’t pass if you are having a negative experience. You must have an active Awin account. The official group from the affiliate marketing group, ShareASale – you’ll get support and alerts on low hanging fruit opportunities, launches and merchant promotions – it’s worth joining for a heads up on that alone! The *ORIGINAL* ShareASale support group! It’s unofficial as the name suggests, but run by users for users – and promises the same updates as the official group as well as blogger referrals and suggestions. This is NOT an official Amazon Affiliate Marketing group, but it is an interactive and supportive Facebook group for Amazon Affiliates. You’ll get support and answers to a lot of questions from a big group and, most likely, a lot of heads up on changes to the Amazon Affiliates programs. Clearly, this would be a VERY long post if I listed all the local Facebook groups for bloggers, so I’m going to give you some great examples and suggest that you head off into Facebook and find one or two that suit you and your geography. So I’ll start local. Australia. Travel Massive is a global brand and you’ll find a Travel Massive group in your area – Berlin has a great Travel Massive Facebook group for instance. And, yes this is travel focused, but it’s also blogger focused and I find this group a fabulous way to connect in person with other bloggers and meet up with them IRL too! Note, I go to most Melbourne meet ups. I’d love to see you at one! Aussie bloggers is a group for sharing information, tips, resources and feedback on the challenges and opportunities in the exciting world of blogging and, of course, it’s for Aussies! Canadian Bloggers Unite is a space to engage, connect, support and join in on conversations that impact bloggers in Canada. If you’re a food blogger (50% of your posts must be about food) and you’re looking to improve your Domain Authority and your backlinks, then look no further. This is a great Facebook group to collaborate with other food bloggers to grow your influence and your blog. Find out why Domain Authority is important to your blog and ways in which you can improve DA in my article here. Another great group for food bloggers to collaborate on guest posts, collaborations, link swaps and sharing threads. This is a small, but highly focused and growing group, great if this is your niche. This focused niche group is for those who blog about natural living, green living and other natural concepts. There is a great sense of community and a lot of support that is specifically niche focused. Power up the growth of your lifestyle blog with this Facebook group – you’ll get support from other lifestyle bloggers in growing your blog and your social media presence. Self-promotion is only allowed on specified days. This groups is dedicated to lifestyle. You’ll find daily threads and social media threads to help grow and support your lifestyle blog. There are a whole lot of Facebook groups for beauty bloggers. Their main focus is about sharing content with each other and to each other’s audiences. I’ve selected some of the top beauty Facebook groups here – but a search on Facebook will find a whole lot more! Many of these groups receive up to 100 posts a day, so be cautious with your time. This group is for people in the beauty, fashion & lifestyle blogger’s community. Its beliefs are to connect, befriend and co-promote. With a focus on NON-spam, and no link dropping, this group is a community with space to share blogs, ideas, advice and tips as well as best practices in the beauty blogging community. This sector is another where there are a lot of Facebook groups which focus on link dropping and co-sharing of content, so I caution which groups you join to improve your blogging business. Here are two of the best. This group has been around since 2012 and now boasts more than 19,000 members. Members of this group include fashion bloggers, designers, brands and fashion industry professionals looking to help each other grow their businesses and social media accounts. This Facebook group for Fashion bloggers has been around for more than 9 years! With more than 6,500 members, you can be sure to find help and support in your fashion blog promotion. This is a great teacher Facebook group for educators. If you’re an educator on Facebook with a blog, then this is an inclusive, supportive Facebook group that will help you grow and maximise your blog. A group for teacher bloggers to network, discuss promotions and get to know each other. You must having a teaching blog and be kind to be part of this group. Self-promotion is allowed on Wednesdays only. This is a fabulous group if you’re a health blogger on Facebook. It is inspirational and enables the connection of like-minded people with each other and brands who embody positive change. This group is about sharing with fellow bloggers and influencers and creating long term meaningful relationships to grow your blog. This is a worldwide group for Health Bloggers on Facebook. If networking with fellow health bloggers is your thing then head on over. This isn’t about self-promotion, but meaningful engagement with other bloggers to collectively grow the blogging space for Health. This is a great place to start if you’re a finance blogger and you’re looking for the support of a Facebook group. This is a small but very focused Facebook group with an interactive community and good support. This 5 year old Facebook group for Finance Bloggers provides support and help for those focusing in personal finance. If you’re looking for more traffic for your Parenting Blog, then this Facebook group for Parenting Bloggers is a fabulous place to head to. It’s run by our team at DigitalNomadWannabe and is designed to help get links to your blog from other relevant sites – i.e. other parenting blogs. An active supportive Facebook group for parenting bloggers around the world. This is a place for Parenting Bloggers to share their posts, ask advice about blogging, collaborate with other parenting bloggers and share freelance writing opportunities in the parenting arena. This group is for bloggers whose niche is within a holistic philosophy for parenting. The purpose of this group is to provide a supportive, educational and active network of like-minded bloggers. This is an active, lively group with a very discrete niche – a Facebook group for special needs parenting. The group also covers disability issues. Here is a group where you can share, discuss, ask questions about blogging and specific issues related to special needs parenting. A great group for dads and parent bloggers. This is an international group sharing collective wisdom about parenting and blogging within the Facebook group. The name says exactly what it is. A Facebook group for UK & Irish parent bloggers. This group is about all things blogging and parenting. There are no stupid questions and it’s an informed and active group. The Mom Bloggers Collective Facebook group is designed to cultivate a community of women that encourage and support each other in their blogs and business. It’s a learning and sharing community that also provides an opportunity to connect and engage with other mom bloggers on Facebook. You’ll find a lot of Travel Bloggers on Facebook in my DNW Facebook Group – that’s because of my background and many of the initial members of the group were travel bloggers that I know. However, there are LOTS of travel blogging Facebook groups where you can find great advice and support. Here are some of the top ones. This is simply a superb group for collaborating with other travel bloggers. This is one of the most popular Facebook Groups for travel bloggers. It’s an extremely popular and active group, with simple rules and a huge amount of activity. If you’re looking for details on why you should do blog collaborations, then head on over the awesomely long post that I wrote about that here. Lia and Christina run Slaying Social, a group for travel content creators who want to make an impact. The group is designed to use travel blogging for good – there are also advanced topics on content creation and monetisation specifically for travel blogging. A hat tip to Gemma and Laura from Make Traffic Happen, UK based travel bloggers who started their Facebook group to help other travel bloggers grow their blogs and business. This is a supportive group with the common aim of growing blog traffic. Looking to expand your reach? Or do you want to request guest posts for your travel blog? This is the forum for requesting a guest post for your site. The aim is to help one another out, and to gain meaningful relationships and content for blogs. Whether you’re a new travel blogger or seasoned, then Jackie’s group helps with informative advice, and professional information. This is another great group for running collaborations and increasing your link building with other travel bloggers. You can also find or offer guest post blogging in this group to and from other travel bloggers. This group is for travel bloggers and travel related lifestyle bloggers only. You can share collaboration opportunities, guest posts, new blogging technology discussions, suggestions and questions. There are also weekly sharing threads too. This group is for personal TRAVEL bloggers only who want to get serious about their website and improve their search rankings through collaboration, learning and link-building. The best way to rank higher in search engines is by having relevant content linking to quality content. In this Facebook group for Travel Bloggers there are regular inspirational posts, brainstorming sessions and guest post swaps. From the same folks who brought you the Link Building and Guest Posts Group, this is another Facebook Group for Travel Bloggers. There are regular sharing threads, support and it’s a relatively active group. If you’re a travel blogger and you want to grow your Pinterest activity then this is a great place to start. There are daily engagement threads, tips and help available. If you are a top UK Travel Blogger or you aspire to be then this is a great resource and Facebook group to join. Interaction is key and mutual growth is a goal for the group. If you’re a travel blogger and looking to swap links then you should head on over here. This group is for travel bloggers only, with the purpose of helping each other’s blogs grow by connecting you with other bloggers to find link placement opportunities. If you’re interested in finding out more about why building links is important, then I have a post on just that topic – read about link building here. I’ve got to start with the original Make Money from Blogging Facebook Group and of course that’s mine! And it’s even in the name. If you didn’t join yet, head on over now. If you’re an entrepreneur blogging and building and selling websites, then Flipping Websites is a great group to join for more help and support from the community. A private mastermind group for niche and affiliate marketing, where information and advice is provided on niche markets and new and upcoming niche hacks. This Facebook group for niche site entrepreneurs focuses purely on building and growing niche sites. It’s a public community and all topics are up for discussion. If you’re always looking for the best apps and plugins to support your business and help you make money from blogging, then this App Sumo Facebook group is a great place to stay in touch with other fans and find out about amazing deals that will help you make money and grow your blog. You’ll also find advice on how to use apps and products most effectively. If you’re male and blogging then it’s worth taking a look at this Facebook group. You’ll be able to connect, share content and find new business partners to grow your blog together. This group was set up to bring male bloggers together to learn from each other, share knowledge and network in a social and friendly environment. If you’re a female entrepreneur with a blog then this is a good option for you. This group covers a wide range of blogging support areas from link building to sharing threads, to specific social media sharing and support. As the name suggests, a Facebook group for the not so young female travel blogger. This group comprises experienced and new female travel bloggers alike. There is a great community spirit and help and assistance is always available with the view that blogging should be fun and achievable for all. This fully inclusive blogging group for female lifestyle bloggers and female travel bloggers aimed towards open discussions, a supportive community, and sharing blogging resources. This is an active, but not overactive group. This is a supportive online community for travel blogging women to expand their reach, learn about blogging, and make meaningful connections in the travel blogging world. You’ll need to identify as a female and have written at least 3 travel focused blog posts in the last 6 months. Get together with fellow WordPress users to help and support each other. You’ll find great tips, help and support in this technical Facebook group. Flipboard can quickly become a major source of traffic to your travel blog. This Flipboard Facebook group is dedicated to growing the impact Flipboard has on your website through increasing followers and flipped content. This is a great Facebook group to find Pinterest Group boards that you can join. It’s open to anyone, brands and bloggers alike with the objective of networking and growing everyone’s Pinterest presence. The IG Advantage is for entrepreneurs who want to learn how to use Instagram™ with intention to grow their community, grow their list, and grow their business. This isn’t about growing your IG followers quickly to get rich quick. This is about community – not Instafame! If you’re over 50 and using Instagram, then you should join this group of like-minded people focused on actively growing Instagram accounts and engagement within the group. If you’re a blogger looking for support to boost your presence on social media then this is a great group. There’s no one specific focus on a particular social media platform, so you’ll find support for all social networks here. Everything that you ever needed to know about Facebook pages and growing them, this is a seriously geeky group focused on growing Facebook pages and helping everyone understand the changes that Facebook regularly makes. Another great and useful Facebook group for Travel Bloggers on Pinterest – the focus is on growing traffic through Pinterest and helping engagement for all members. IF you’re a travel blogger using Pinterest then this is a great group for you. You’ll find daily sharing threads, weekly ‘tips’ threads and question and answer threads. Get cross platform support on social media as a blogger in this Facebook group. This is about cross promotion on Facebook, Twitter, Pinterest and Instagram. You’ll need to be an active reciprocator to take part on this group. If you’re an individual blogger and you’re using social media and want some social love, then this Facebook group might just be the one for you. Your blog must, however, be in English. This a social media and blog support Facebook group for bloggers. They have regular link parties and sharing threads to boost your social profiles too. A great group where the focus is on using Twitter to promote and support each other’s blogs. You can find excellent suggestions, best practices and support on using the popular social media solution. Still with me? Phew this was a marathon wasn’t it? I hope you’ve found this list of Facebook groups to join useful. It doesn’t mean you should join all of them – you need to be selective with your time and with your efforts, which is why I’ve focused this, in general, on niches rather than generic Facebook Groups for bloggers. Download the Ultimate List of Facebook Groups For Bloggers now! The nature of Facebook groups for bloggers changes on a regular basis, I hope that the groups that you join get better and that they help you grow your blog and your business – let me know of your favourite groups and the Facebook groups that help you with your blogging business, and don’t of course, forget to join DNW Making Money from Blogging and join in the conversation. Read how to make more money from blogging here or other tips for how to gain readers here. You can also read my list of ways to gain more traffic and make more money from your existing posts here. Want help to meet your blogging goals? Join my FREE Facebook group here. What is your favourite blogging Facebook group?